White Rock Motors is a privately owned company situated in Mississauga, Ontario, which is in the heart of the Greater Toronto Area. 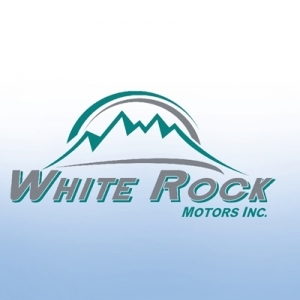 Established in 2009, White Rock Motors began its journey to become a premier transport carrier with the highest degree of excellence. Since the start, we have been providing services all over Canada and the United States. At White Rock Motors, we are always determined to provide our customers with the most accessible, safe, reliable and efficient services within the transportation and logistics field. At White Rock Motors, we value delivering the needs/requirements of our clients in a timely manner. Through us providing reliable services to our clients at all times, we ensure to build trust amongst all of our stakeholders each and every day. Our organization believes that our success comes directly from the amount of expertise carried out in performing tasks. Therefore, each and every one of our employees seeks to execute every task with the highest degree of excellence. “Safety first” is a phrase recognized throughout our organization. From our equipment to our drivers/warehouse staff, we ensure to provide the needed resources to maintain a high level of safety to avoid any workplace incidents/injuries at all cost. White Rock Motors recognizes that our customers and employees together make us what we are. Therefore, our organization puts trust in all our employees and their daily efforts in making this organization such a great success. Trust within our firm is further delivered to our cliental through our reliable and efficient services at a regular basis. The goal at White Rock Motors is to be reliable, flexible and fully dedicate our organization to being a premier transportation service provider by customarily going beyond the expectations of our clients. To survive in any industry, providing your cliental with the most competitive and satisfying rates is a key in the market today. Here at White Rock Motors, we strive upon getting our clients much lower transportation rates in comparison to our competitors. Furthermore, higher the volume of your business with us, the more advantageous the rates will be with our organization. White Rock Motors actively promotes a safe and clean working environment through the help of all our stake holders.